Bestselling novelist Godwin (Evensong, 1999, etc.) stitches an intimate sampler of the ways we humans have imagined acts of the heart through time and across cultures. 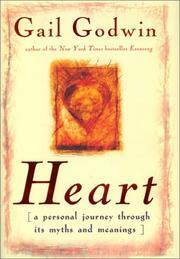 The heart works in strange and curious ways—“heart acts are often improvisational detours from point-to-point plans”—Godwin observes, but she is most interested in a kind of heart-knowledge “based on feeling values, relationship, personal courage, intimations of the ineffable, a passion for transcendence.” The author focuses here on a selection of cultural heart acts that have moved her and made her more alive, more worthy, from the prehistoric cave painter who gave life to a wooly mammoth by adding a heart to the epic of Gilgamesh, “the story of one human heart living fully in its time, finally conceding its human limits.” She examines the Hebrew heart that feels shame when it deviates from walking with God and St. Augustine’s Confessions, in which “the heart is pure protean marvel.” She deplores the horrible theft of the heart’s poetic associations by the Industrial Revolution and the rise of empiricism, which see the individual human as “a cog in the almighty economic machine.” Godwin takes light-footed tours through such literary themes as heartbreak, heartlessness, change of heart, and the heart of darkness: the “journey into a darkness that might poison or dry up this precious wellspring—or deepen and enlarge it if you come through.” She lauds the hospitality of the heart, “a special kind of imagination that concentrates on how another creature might be feeling,” one of those essential rhythms to which the caring heart is tuned. She also provides numerous personal stories to give her survey an anecdotal warmth and clarity. Though not really much more than a commonplace book of the author’s personal fascinations, many readers will dip into this appealing grab-bag with pleasure and sometimes surprise.